This past weekend, the rain stopped long enough to get an easy hike in at Deception Pass State Park (.pdf), I started with the Sand Dune Loop trail at West Beach (#12 on the map). Then I headed over to East Cranberry Lake. The trail (#13 on the map) begins skirting the campground which is already in full swing. Then it crosses the road and follows the lake shore to the fishing dock at East Cran. On the return to West Beach I spotted....the America's Cup? Not quite the America's Cup, but this was just as amazing in its own way. 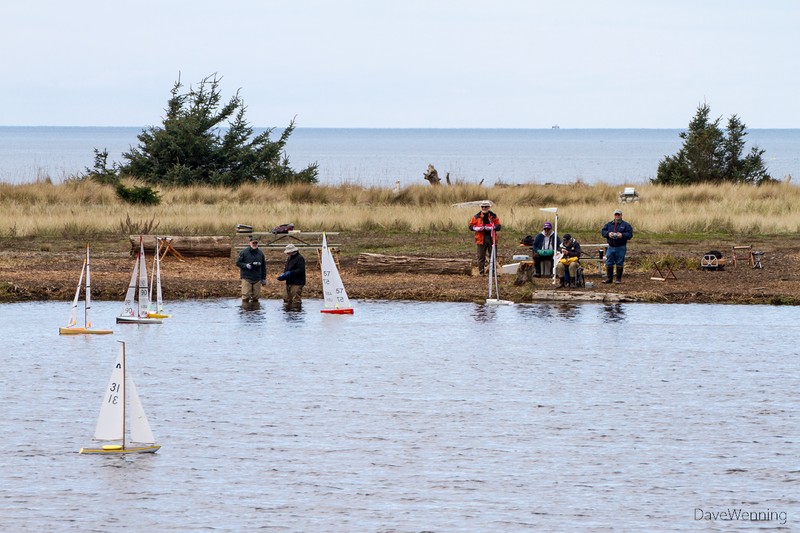 These are members of the Deception Pass Model Yacht Club. 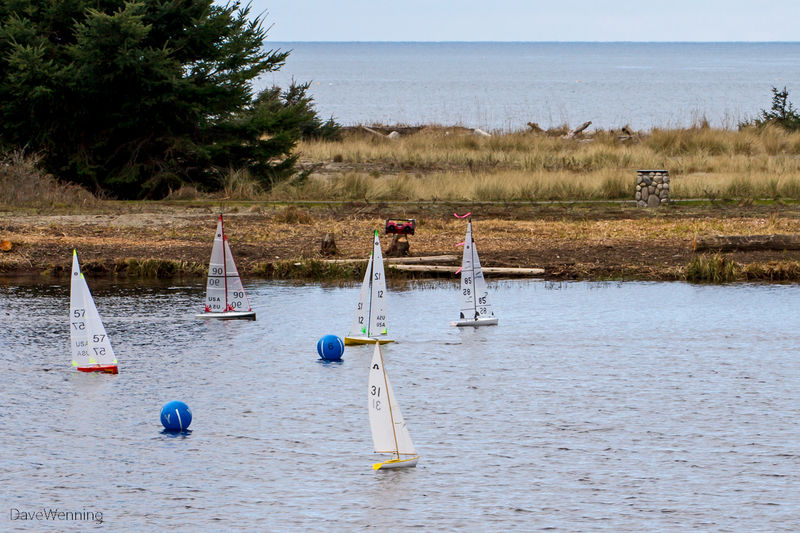 Their website describes these as one meter radio controlled model yachts. They are sailed from the shore by wireless devices that looked similar to game controllers. Number 31 caught my eye. Right-click the photos to see them full-size. 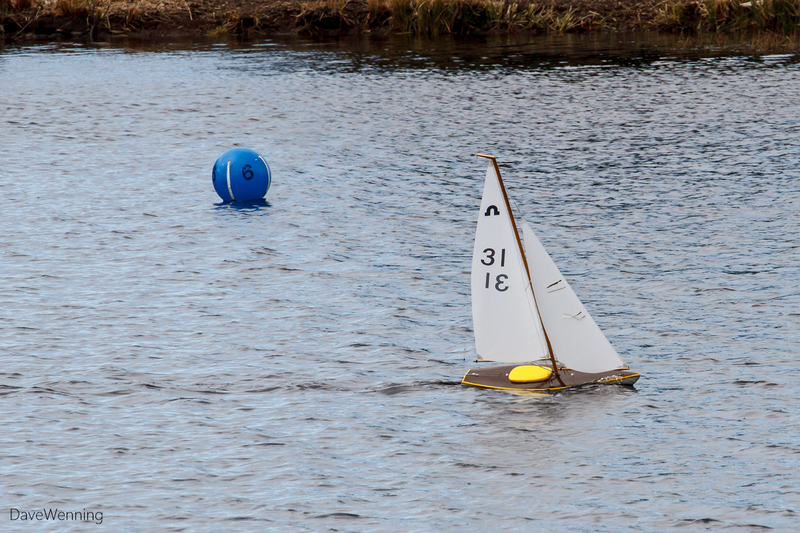 The yellow boat nimbly rounds the buoy. These are real sailing boats powered only by the wind. I had never seen this before, but I was mesmerized watching all this going on. It was every bit an authentic sailing spectacle. I would forget that these were model boats and not full-size vessels. I had seen their lakeside station near the beginning of the Sand Dune Loop trail, but never encountered anything going on before. 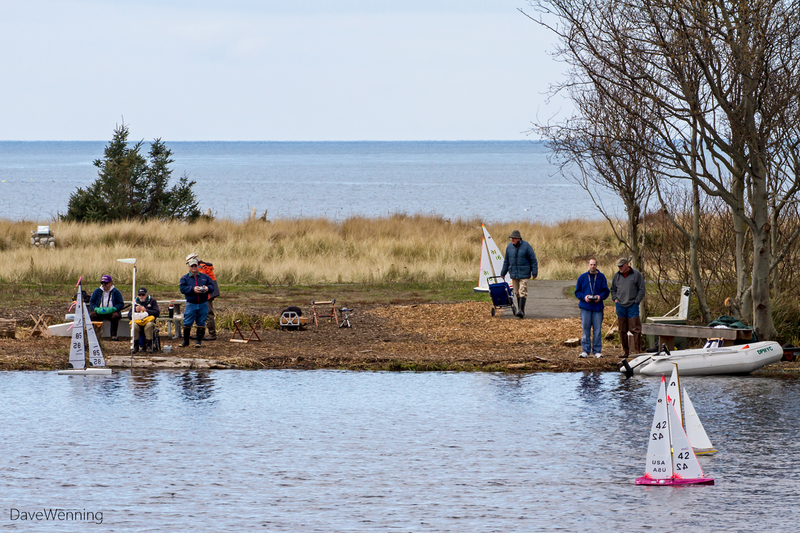 They meet here every Wednesday and Sunday at noon for regattas year around. With good reason, if the winds are from the west, they meet instead at Bowman Bay on the Fidalgo side of the park. You never know what amazing and wonderful things you will discover in Deception Pass State Park.